When asked where the most advanced approaches to K-12 instruction are taking place, educational experts often point north toward Scandinavia. Yet one of South America’s coastal countries is showing a forward-thinking stance that would rival the world’s leading educational systems. 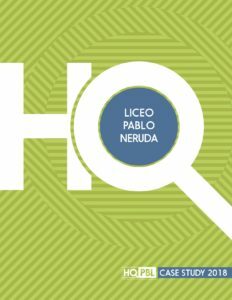 In a variety of school networks across Chile, facilitating high quality Project Based Learning (HQ PBL) student experiences has gained momentum toward becoming a national movement. With a population of nearly 18 million and per capita income hovering around $15,000, the country faces plenty of challenges in terms of providing services to its citizens—education included. As K-12 education is compulsory, the majority of current students are children of parents who have completed high school. However, fewer than 10% have gone on to attain a college degree. Project Based Learning is connecting communities, foundations and corporations; students, parents, and educators at the K-12 and postsecondary levels are engaging in projects and training that will impact this generation and those to follow. The assignments are authentic in that they enable students to engage with and address relevant local issues that matter to them, culminating in a public presentation and reflection period in which lessons learned are articulated and discussed. These highly collaborative, well-managed projects exemplify HQPBL student experiences and demonstrate the country’s progressive stance on education. Jeannette LaFors, a consultant and advisor on a number of Project Based Learning initiatives for elementary, middle and high schools, sees the approach as a way to help kids be the protagonists in their own learning journey, and to become more reflective. 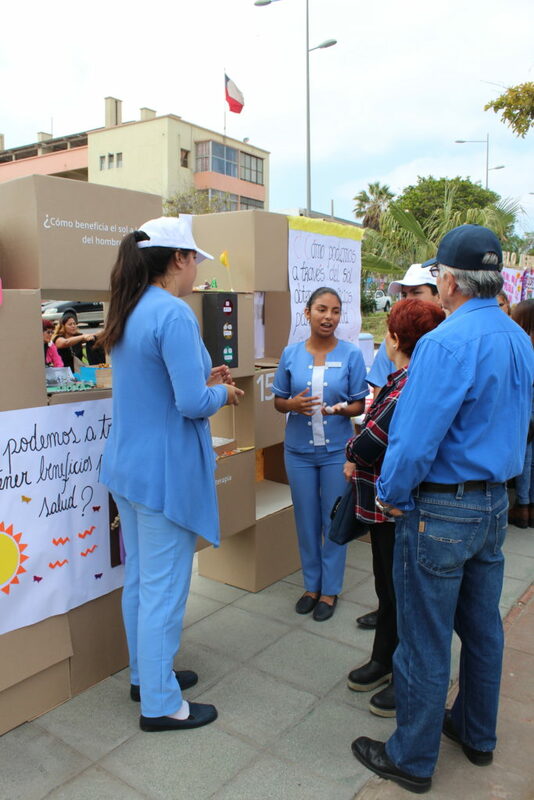 She has worked with several schools in the city of Arica to the north, as part of an environmentally-conscious corporate-sponsored HQPBL initiative, as well as schools supported by Fundación Sumate in Santiago, the capital. LaFors’ work has also connected her with a network of 100 schools serving students from high-need communities who demonstrate academic success and are engaged in innovative practices. This includes Talhuan’s Escuela Básica south of the capital, in a region known as Bío Bío. She has partnered with other professionals to lead immersive workshops for educators and peer facilitators, who support the introduction of HQPBL across designated pilot schools. In every instance, LaFors has witnessed a transformation from a passive consumption of information to students’ active involvement in their own education. Teachers and teacher-educators at local universities have also played a critical role by embracing new frameworks and methodologies that underscore greater autonomy both within and outside of the classroom. “The biggest leap is from a traditional “sage on a stage” format, to changing to a demand for demonstrated knowledge,” LaFors noted. Students are presenting and sharing their projects with industry leaders, community members, and classmates, gaining meaningful skills such as public speaking and strategic thinking in the process. The opportunity to practically apply competencies in areas such as project management, delegation, collaboration and negotiation serve to further prepare Chilean students for the ever-evolving 21st century workforce.